The new saving goal feature looks really great! I really wanted to try it out, but I came across the following. I want to change an existing account that I use for saving into a saving goal, but I can’t seem to find such an option. Is it possible, and if yes, where can I find it? I don't think it is possible because a savings goal does not have a IBAN. The best thing you could do is create a savingsgoal and deposit the money of the bank account in to the savingsgoal. After that you can give the bank account a new purpose or you could delete it entirely. Roelof-Grey-Badger It does have an iban. This would be awesome!! I have quite a few accounts that I setup in bunq for savings goals, and it would be really nice to have a way to convert an existing account to a savings goal with a few taps. MarcoBoersma Yes, it is possible. Just click the button Pay and choose your savings account. Voilà! +1! 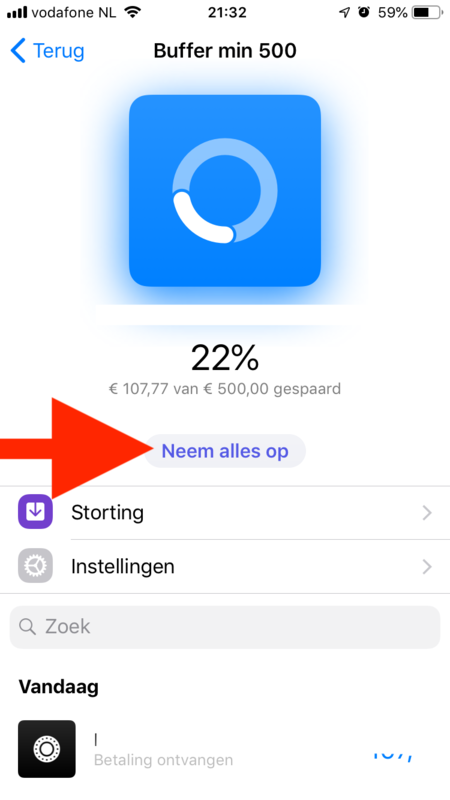 Would really like this feature, as I do not want to change the IBAN of my current savings savings account. Click the Pay button > amount > choose reveiver > click icon to change the account from which the amount is payed > change it to a savings account. Pay!. And Done. Try it. Rene-Pink-Turtle there is no pay button. MarcoBoersma He means the Pay button from e.g. your general "Accounts" screen. When you set up a payment that way, you have the chance to change the "source" account to be a Savings Goal "account". So it is possible to pay/withdraw any amount, just not from the Savings Goal screen itself, and you may get an "Are you sure, you just stared saving!" warning. Don't choose your savings account. On the first screen choose pay and after you did > follow what I've told above. We removed the pay button from the Savings Goal account, because we know from experience and testing that adding a few virtual barriers really helps people save towards their goals. The other side is that there are times in life when you just have to dip into your savings. Something happens unexpectedly and that thing becomes more important than the goal you were previously saving for. If you haven't yet achieved your goal when you pay with your Savings Goal, we will remind you of your goal just to make sure.